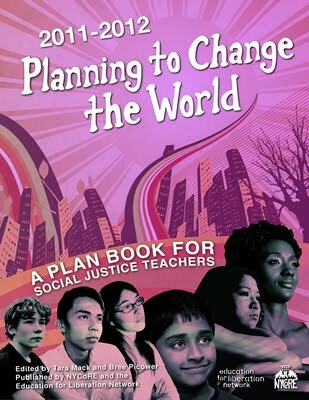 Site Disclaimer The Teachers for Social Justice site exists to support its mission and to serve as a resource for information, education and research for the general public. We make use of the Web as an information tool by assembling pages of related links. Providing access to other Web resources does not in any way constitute an endorsement by TSJ of whatever view or opinion may be found either on the pages directly accessed or on others that could be visited in turn. Fair Use Notice This site contains copyrighted material the use of which has not always been specifically authorized by the copyright owner. We are making such material available in our efforts to advance understanding of education issues vital to a democracy. We believe this constitutes a 'fair use' of any such copyrighted material as provided for in section 107 of the US Copyright Law. In accordance with Title 17 U.S.C. Section 107, the material on this site is distributed without profit to those who have expressed a prior interest in receiving the included information for research and educational purposes. If you wish to use copyrighted material from this site for purposes of your own that go beyond 'fair use', you must obtain permission from the copyright owner.